St. is using Smore newsletters to spread the word online. 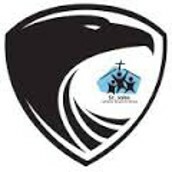 St. John Lutheran School exists to nurture children in faith and intellect, equipping them for Christian lives of service. A Slice of “Spiritual Bread” for the Christian Home . . .
As we walk with Jesus to the cross in the season of Lent, we have a number of examples for us to consider in our daily lives of faith. One person that sticks out to me is Peter. Peter had heard the warning of Jesus in the Upper Room, that he was going to deny him before the crowing of the rooster. Peter thought it would never happen, but it did. What brought Peter to his knees in sorrow and bitter pain? A look from Jesus did just that. The look reminded Peter of Jesus’ words and his sins that lead to openly denying his Lord. I am a lot like Peter. When I am pressed, I do not always give the faithful witness I could about Jesus and His Word. When I fail (as Peter did) and called to account by the Word of God and fellow brother or sister in the faith, my sorrow can seem overwhelming at times. My pain and sorrow (as was Peter’s when the Resurrected Lord reinstated Peter in John 21) are replaced with the joy and comfort of sins forgiven and an eternal future secure through faith in Jesus. Have a wonderful day and share the true joy of faith in Jesus with others! On Good Friday, we will have a special worship service with our school family at 1 pm. Please join us in the church as we ponder the pain and suffering of our Lord Jesus as he paid the price of sin, death, and devil for all people of all time. All School Sings in Church this Sunday! All St. John students will be singing for our Palm Sunday service, this Sunday, April 14, at 9:00 AM. Students need to meet in the Fellowship Hall at 8:40 AM. At the beginning of the service, the students will participate in a palm branch processional and sing a song while standing in front of the church. After this song, any students not in Junior Choir will go and sit with their parents, so please save them a seat! Junior Choir students will sit as a group, as they will be singing later in the service. 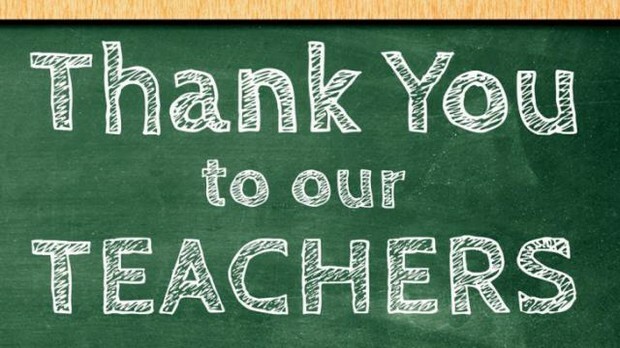 Last week, a note went home with your child regarding Teacher Appreciation Week. For the past 5 years, we’ve collected money and filled gift baskets with some of their favorite things (each teacher is asked to complete a survey). We’d like to keep the tradition going, but need your help! Please return the donation envelopes to the designated box in the office by 4/18. On Thursday, April 25, our school children will have an opportunity to hear and see something unique. 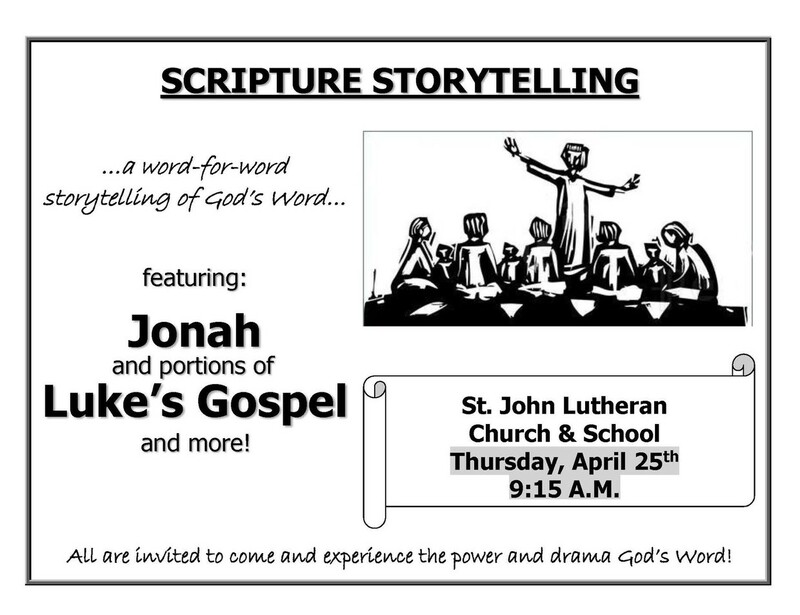 Daniel Dexter, a staff minister from one of our WELS churches in El Paso, TX, will visit St. John with his ‘Scripture Storytelling.’ He memorizes books of the Bible and then shares them word-for-word in what he calls a ‘storytelling’ style. This isn’t a dry recitation nor is it an actor's performance. Daniel calls it a ‘living proclamation’ that aims to treat the listeners as participants, giving them a feel of what it may have been like to hear and see the words and works of Jesus and the apostles and prophets. Parents and all adults, you are welcome to join us for this special event on Thursday, April 25, at 9:15 A.M. Daniel will share Jonah and portions of John’s Gospel, and he will also have a Q&A session and share tips on memorization. If you would like to see an example, you can check out John 20 or this feature from Kids Connection a few years ago. technology. Short-term counseling is available from any private location that has an Internet connection and a webcam. Telephone counseling is also available. If you are interested, please talk to Pastor. 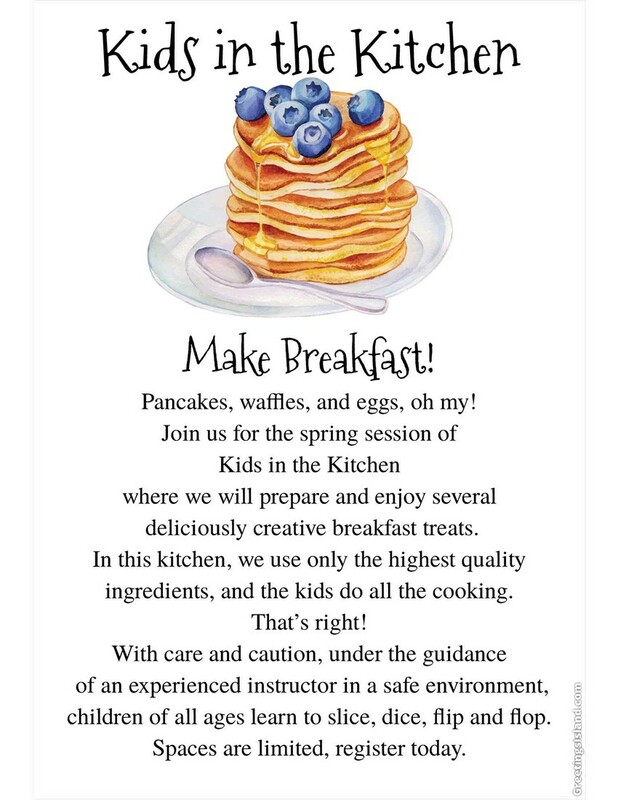 Cost: $55 - includes a Kids in the Kitchen apron! Students not picked up by 4 pm will be taken to the after-school childcare. Click here to register. Please complete a form for each student attending. Chilenje Lutheran Church in Chilenje, Zambia. This is a group of Christians who are struggling to raise money for a church building to worship in. Currently, they hold their church services in a large tent, but they do have plans to build a church and a school. We have the special opportunity to support them with our chapel offerings. 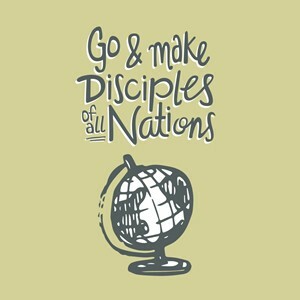 Please keep Chilenje Lutheran Church in your prayers, and consider supporting them with a financial gift as they seek to do God’s work in Africa! Shirts, sweatshirts, popsockets! Get them now to show off your school spirit! Did you know your purchases can make a difference? AmazonSmile donates to St. John Lutheran School of Libertyville when you do your holiday shopping at smile.amazon.com/ch/36-3119466.